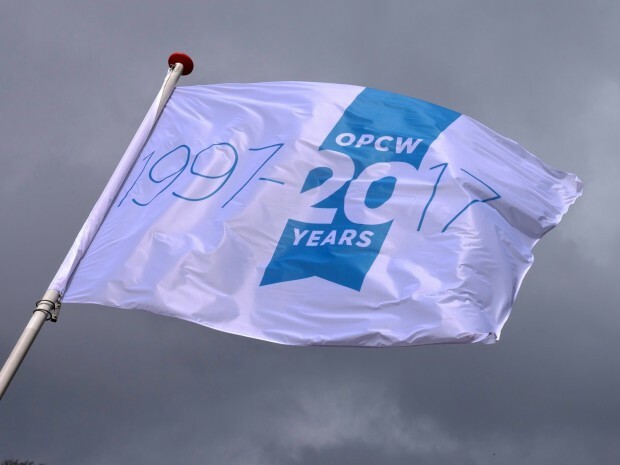 Today marks the twentieth anniversary of the entry into force of the Convention, and the EU renews its strong support to this successful international disarmament instrument that has helped the world to take steps for the full and complete eradication of an entire category of weapons of mass destruction. This is also an occasion to call on all States not yet party to the Convention to ratify or accede to it without delay and unconditionally. The world should have already got rid of such horrifying means. More than one hundred years after the first massive use of them, chemical weapons, including of toxic chemicals, are still used against people who can have no escape from them. We reiterate our strong condemnation of the use of chemical weapons anywhere, at any time, by anyone, under any circumstances. We are fully committed to countering the re-emergence of chemical weapons and the evolving threat of chemical weapons falling into the hands of terrorist groups or other non-state actors, to eradicating non-state actors' possession of such weapons, and to ensuring full accountability for any State or non-state actor which use them.